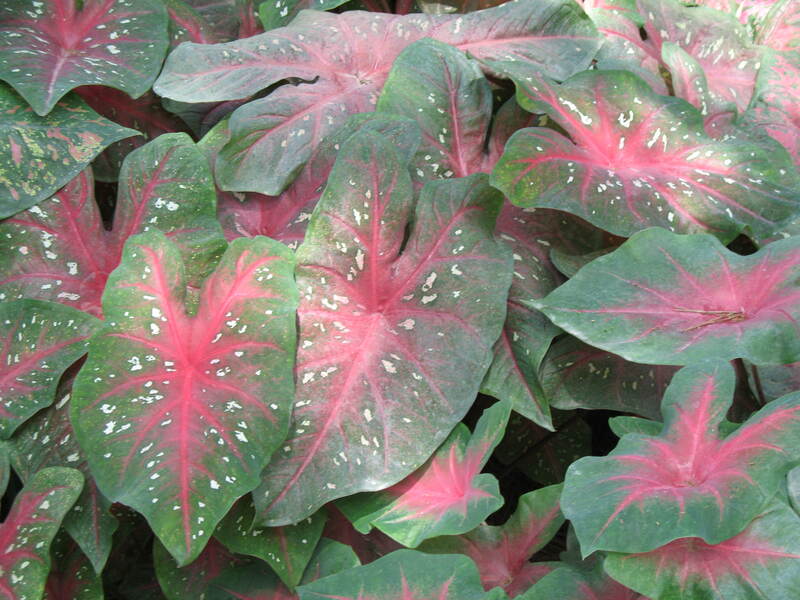 Comments: This caladium has very large leaves and is tall growing. Over 1,000 named varieties and some newer ones are sun-tolerant. Used for color in shade to part shade in the late spring and summer landscape. Do not plant the tubers outside until the night temperatures average 60 F.